Amazingly quiet, comfortable and refined. Beautifully finished cabin. Tastefully designed and of course very quick. Poor rear seat space. 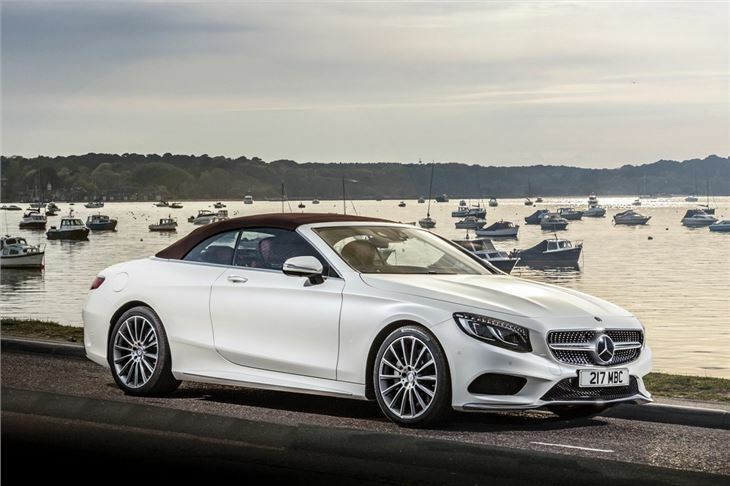 High price and running costs matched by far cheaper Mercedes-Benz models in many ways. Dated-looking infotainment. There’s something majestic about the way the Mercedes-Benz S-Class Cabriolet glides across the road. 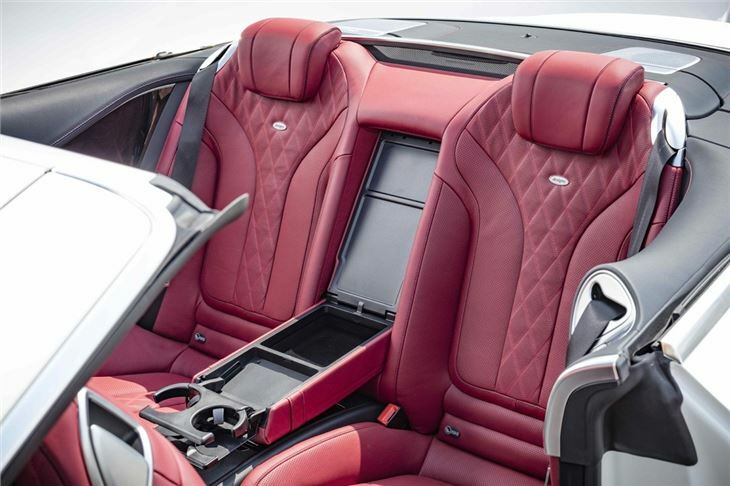 It’s the most refined convertible this side of a Rolls-Royce. 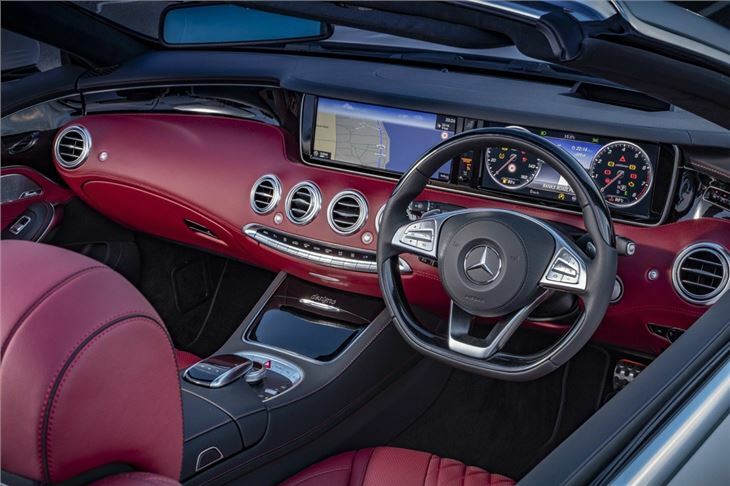 Mercedes has imbued a four-seat and long wheelbase drop-top with nine-tenths of the refinement of the Zen-like S-Class luxury saloon, which is some achievement. 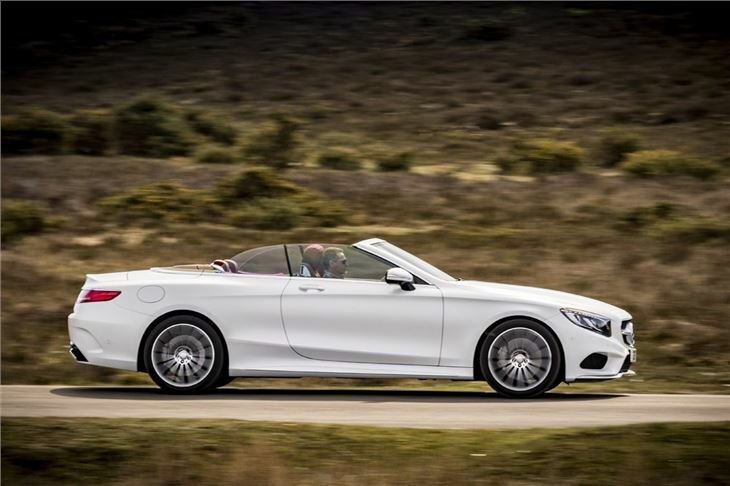 However, the S-Class Cabriolet is far from flawless. For a start, rear leg room is disappointing. Some sort of space compromise is inevitable when a car is converted into a soft top – the complicated mechanicals that operate an electrically folding fabric roof, and the roof itself, need to be stored somewhere. However, when you buy an S-Class you might expect more rear space than you’d get in a city car, which is near enough with this Cabriolet provides. Where the S-Class Saloon is built very much with rear seat comfort in mind, the Cabriolet makes the front two its clear priority. The front seats are packed with comfort-aiding technology including heating, ventilation, massaging functions and an ‘Airscarf’ neck warmer. This makes them as thick as a pair of Chesterfields and ensures that rear occupants need to be built like Shaggy (the Scooby-Doo one, not the one who didn’t do it) to squeeze their legs in. Zoinks! What that does mean, though, is that for the lucky two in the front the Cabriolet is the undiluted S-Class experience. It smothers the edges of anything the wheels encounter with gentle nonchalance. The adaptable air suspension is only one part of that – double glazed windows and a multi-layered fabric hood also help dampen the world outside. And in an effort to cement the S-Class Cabriolet’s place in the upper echelons of the luxury convertible game – competing in a league of its own, really, because a BMW 650i Convertible costs from £70,000 or so, then there’s nothing else until you hit the Bentley Continental GT Convertible, which is smaller and starts at £160,000 – the engine range is limited to high-powered stuff. 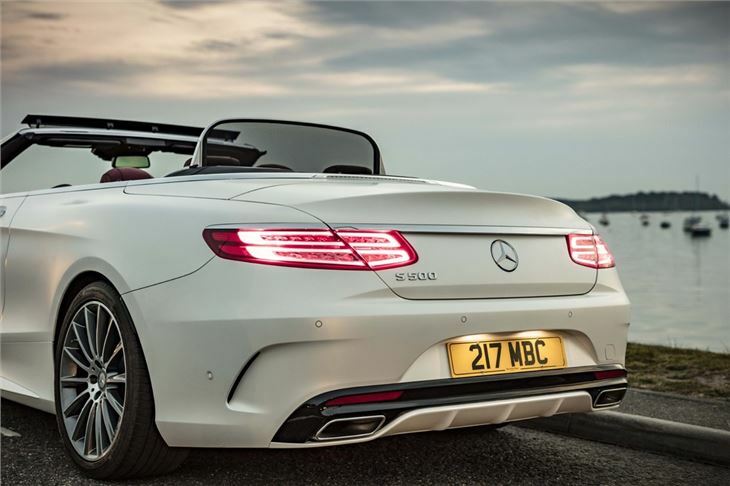 The entry level car comes with a 455PS 4.7-litre twin turbo V8, in AMG Line trim, starting at around £110,000, or you can have one of two Mercedes-AMG models, the latter knocking on the door of £200,000. All come extremely well equipped – find the highlights by clicking the ‘in the cabin’ tab above, but know for now that it lacks nothing – albeit there’s still a healthy options list. 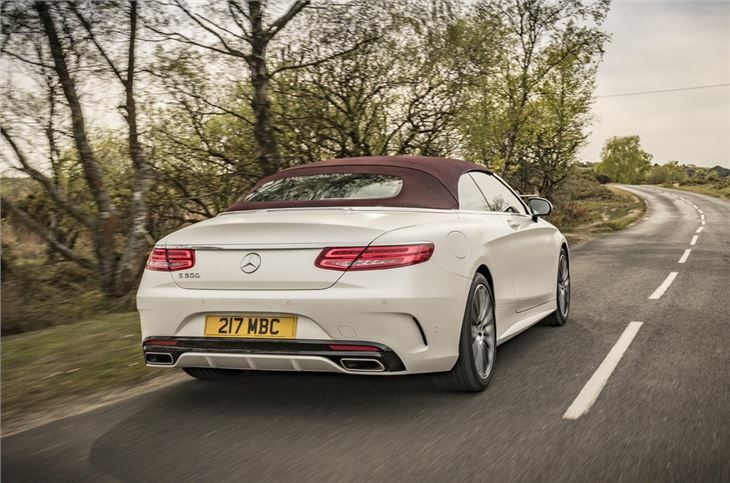 And that’s the thing about the S-Class Cabriolet –it’s in a league of its own. There is simply no other four-seat drop top that offers this sort of comfort and prestige at this price. 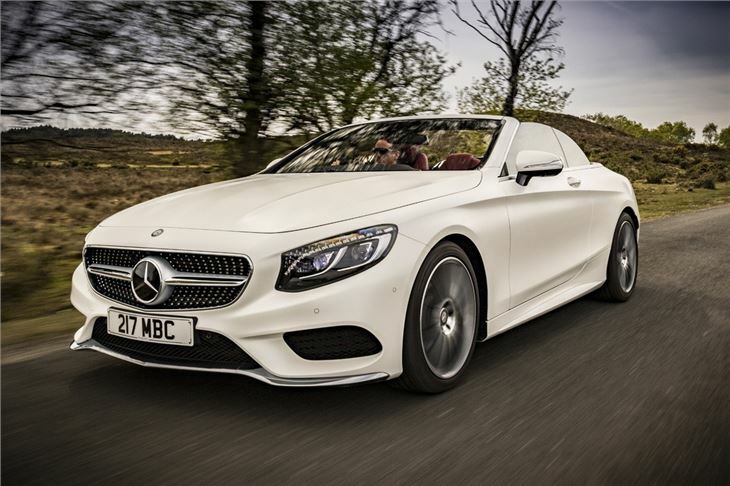 There is, however, the small matter of the newer Mercedes-Benz E-Class Cabriolet, which offers much of what’s great about the S-Class, but at a vastly reduced price.